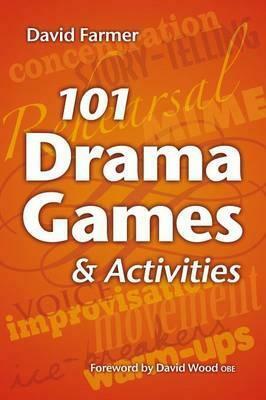 101 highly effective games and exercises suitable for use in teaching drama lessons, workshops or rehearsals with children, young people or adults. Chapters include improvisation, mime, ice-breakers, group dynamics, rehearsal, story-telling, voice and warm-ups. This unique book has been developed by a professional theatre director through workshops and training with actors, teachers and children around the world. Foreword by David Wood, OBE. 'Belongs amongst the top 10 books any director or drama teacher should own.' - English Touring Opera. 'I am always on the look out for resources that will help me in the studio and this book is perfect! The language used is straightforward and the instructions are easy to follow.' - Bernadette Collins, UK. 'I have to thank you for providing the most creative resources I have ever seen to educate and entertain young children.' - Matt Brown, Milwaukee, USA.